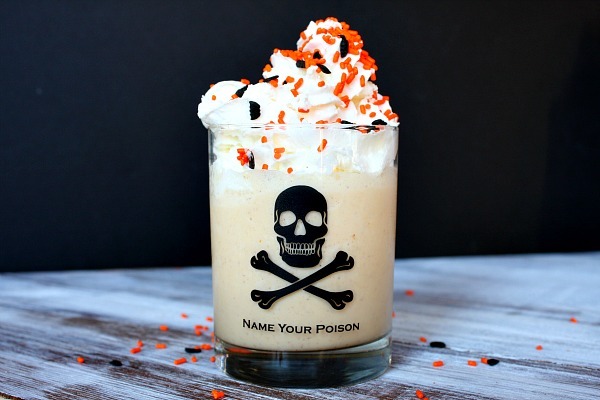 Because of the rapidly approaching candy-infested holiday named Halloween, I decided to make a recipe that no trick-or-treater would dare refuse… A Pumpkin Pie Milkshake! I love recipes that have fewer than five ingredients! 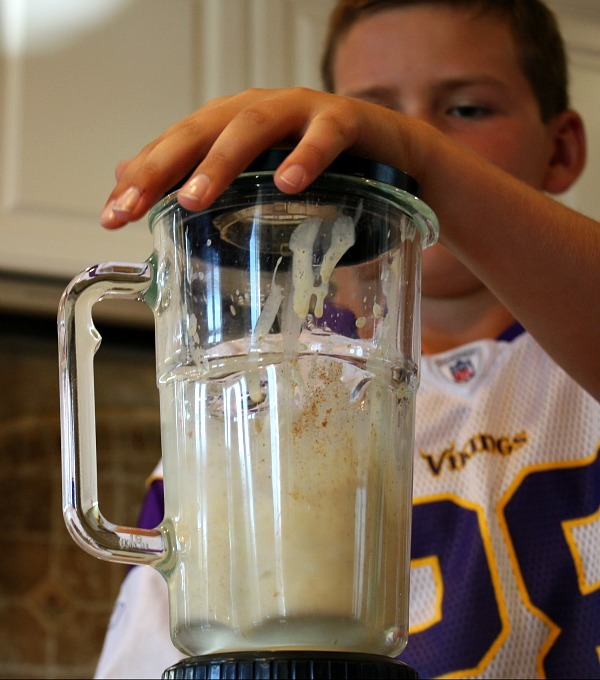 If the milkshake is too thick when you’re done blending, add a little more milk and blend it a little bit longer. Some of it’s chunky but that’s the good part. My lesson learned from this easy recipe was that heaven comes in small glasses. But the trick is to pile up the whipped cream until you have a mountain that is a few feet less than the height of Mt. Kilimanjaro. 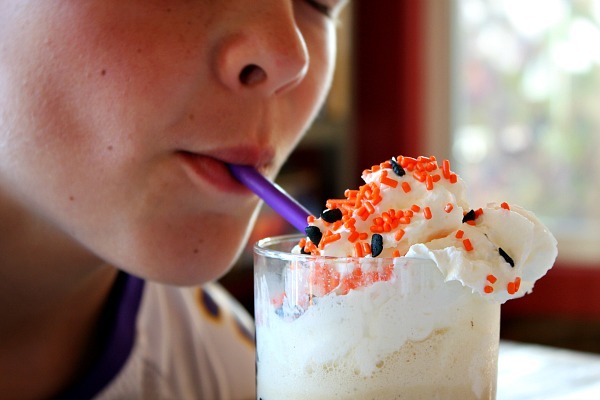 The Pumpkin Pie Milkshakes turned out fabulous, they taste just like pumpkin pie, and I suggest parents (or kids) make this recipe on any day near Halloween (or Thanksgiving), no matter what the weather is! And even a kid can drink heaven in five minutes… Like Me! 1. 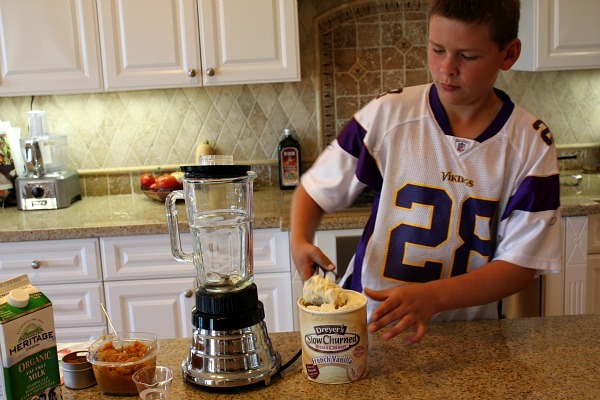 Scoop ice cream into the blender. Add milk and pumpkin and cinnamon. Blend it until smooth. 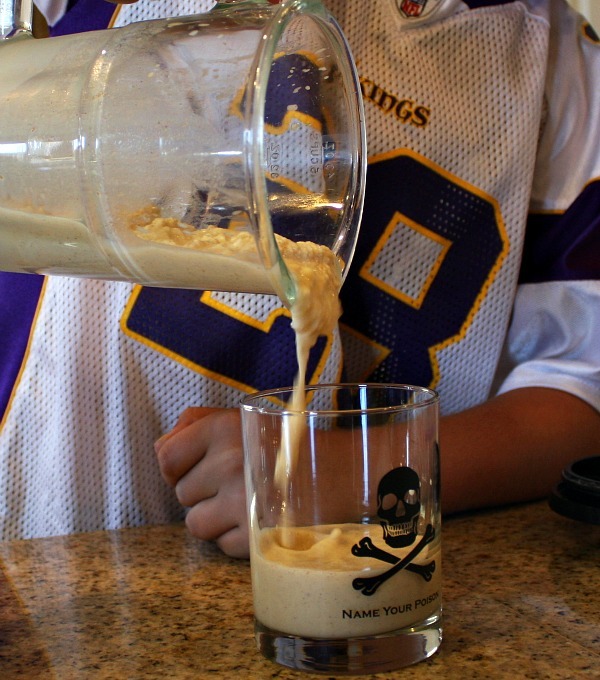 Pour it into a glass, put whipped cream and sprinkles on top. Drink! Love this! 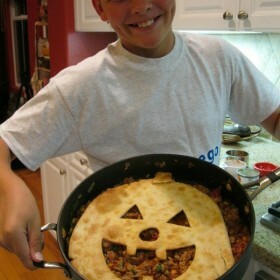 What a delicious kid fun recipe! Can’t wait to try this tonight! It’s my husbands birthday & he loves pumpkin pie! I love the jersey! A. P. Is fun to watch when he’s having a good game! 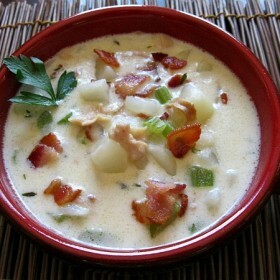 Add this to the list of things you need to make for me. I love pumpkin pie AND ice cream so it’s perfect! 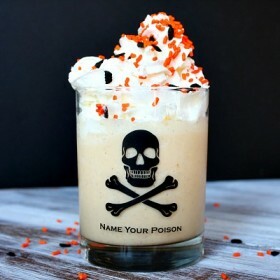 Added to my pumpkin recipe list! I love pumpkin pie, but sometimes want easier recipes using pumpkin! Thanks!